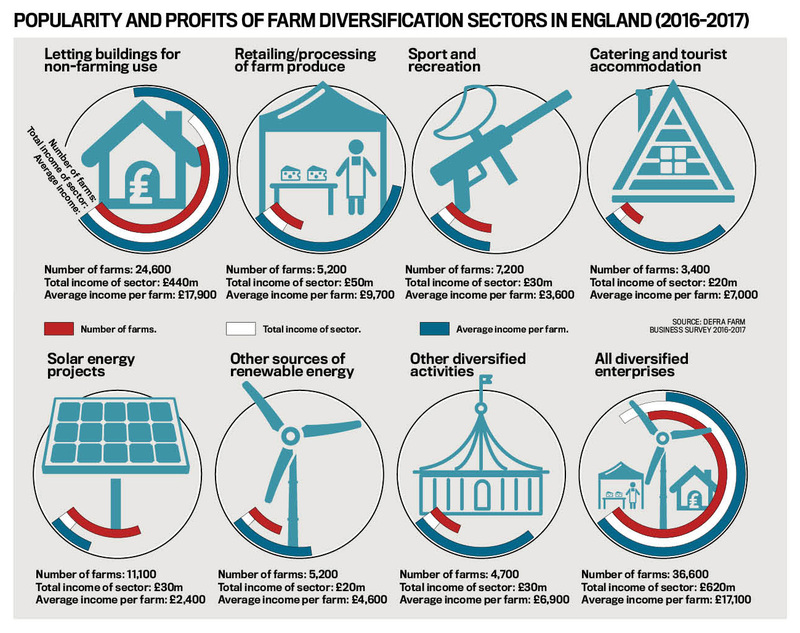 Diversification on farms is growing steadily across most sectors, with some notable exceptions, according to the latest figures, writes Marie Claire Kidd. But industry experts say there is new impetus to the growth of the diversification phenomenon, as farmers look to build resilience amid uncertainty caused by Brexit. Almost two-thirds (64 per cent) of English farmers have now diversified, according to Defra’s Farm Business Survey 2016-17, an increase of 2 per cent on the previous year. The survey shows diversified enterprise output contributes £1.19 billion to the economy, equivalent to 8 per cent of total farm business output (£15.67bn) or 10 per cent of diversified farms’ total output (£11.41bn). The headline figures are impressive, but scratch below the surface and you discover letting buildings for non-farming use accounts for 51 per cent of the £1.19bn diversified output. The contribution from tourism, sport, recreation, renewable energy and other diversified activities are relatively minor. The proportion of English farms generating non-solar renewable energy, including through wind turbines, anaerobic digestion and renewable heat, stayed at 9 per cent in 2016-17. These farms generated 8 per cent of their total income (£20 million of £300m) from these activities compared to 13 per cent the previous year. Government cuts to renewable energy subsidies in England means this trend will likely continue, but not so in Scotland and Wales, where there are more encouraging incentives. According to the Scottish Government, the largest increase in number of diversification projects in Scotland was in wind turbines in 2016-17. Micro-electric generation, which includes renewable energy other than wind turbines, was the only diversification activity to make a loss in 2016-17 in Scotland, with the average loss being £400. But losses have reduced since 2015-16 due to a fall in start-up and depreciation costs. Diversification is not everything. Scottish Government research across a sample of Scottish farms over five years showed non-diversified farms were in fact performing better than those which had diversified. Average farm business income on diversified farms was £41,200, 50 per cent higher than the previous year. But average farm business income for non-diversified farms in the sample was £23,800, an increase of 88 per cent on the previous year. For diversified English farms, average enterprise output from diversification was £32,600. Many farms have developed multiple diversifcations. For example, Jo Hilditch, Whittern Farms, Herefordshire, is showcased by Barclays Bank as a shining example of diversification. Whittern Farms continues to focus on its core business of broiler chickens, producing 5.5 million per year, but Jo has also steered the business into fruit production. 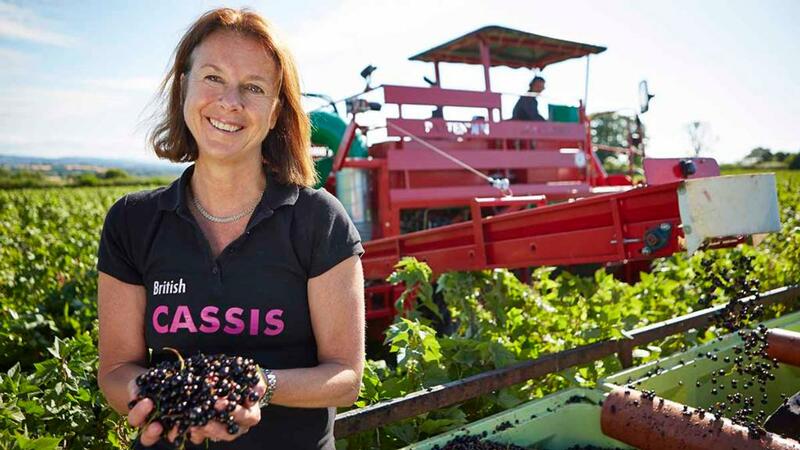 Today she grows 61 hectares (150 acres) of blackcurrants, mostly for Ribena, with a small amount reserved to make the farm’s British Cassis. There are also 30ha (75 acres) of orchards providing fruit for Bulmers cider and 121ha (300 acres) of wheat and arable, mostly used to feed the chickens. And Jo has recently invested in two 50kW solar panel arrays, nine 200kW biomass boilers to heat the chickens, and a smaller 140kW boiler which heats six dwellings on-farm, including converted barns and a Victorian stable block providing luxury self-catering accommodation. Other farmers are trying something completely new. Five farm businesses in Gwynedd, Denbigh and Powys are involved in an 18-month European Innovation Partnership project investigating the growing of squill in Wales. The bulbs of this perennial herb, native to the Mediterranean region, contain steroid glycosides (Bufadienolides), which are key compounds in many cough syrups. Eirwen Williams, director of Menter a Busnes, which delivers the Welsh Government’s Farming Connect knowledge transfer, innovation and advisory service, explains: “The aim is to understand the optimum agronomy and location for growth as well as harvesting and extraction techniques. Ms Williams says tourism continues to be a popular choice for diversifiers, for example glamping pods, yurts and Romany caravans. She also notes other farms choose to diversify the kind of livestock they keep, go into horticulture or renewables, or add value to primary products, for example by marketing raw milk or processing timber. There are many drivers for diversification, she says. As well as financial need and a desire to spread risk, it can be encouraged by family situations, for example a wish to bring a son or daughter back to the farm, or by a specific interest or skill which can generate income. Government grants, for example through the Leader programme, are another driver. And then there is Brexit. “We’re already seeing more of an interest in diversification as Welsh farmers, especially lamb producers, are concerned about their ability to export Welsh lamb following Brexit,” she explains. Julian Bell, senior consultant at SAC Consulting, agrees: “Brexit brings the potential for major changes to agricultural markets and support arrangement over the next few years. 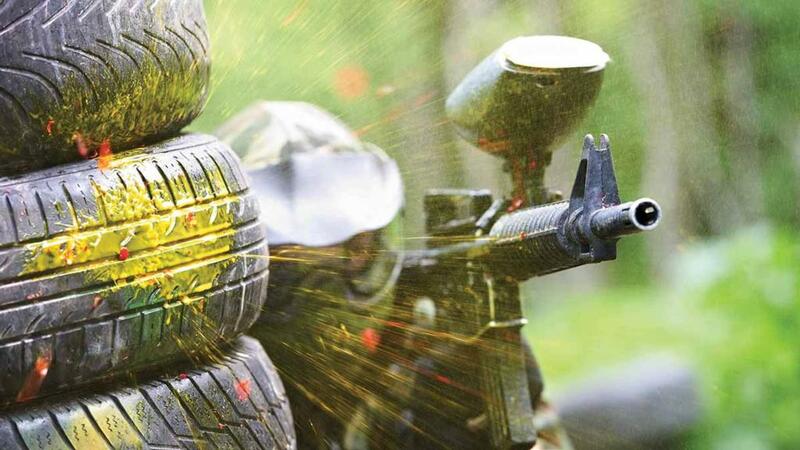 “These changes may create a necessity to diversify, and opportunities too. “Diversification offers the chance to shift the farm business into new and potentially more profitable activities. To be successful you are going to have to divert time, capital and energy in to the new venture. “A successful diversification enterprise will not save a struggling farm business so make sure the existing business is sustainable or scale it back before committing to the new enterprise. A 2017 study of almost 300 farmers and rural businesses by Farm Business Innovation found more than 74 per cent were more likely to diversify in response to Brexit. Farm Business Innovation Show event director Christian Yandell says: “Diversity is the future of farming. More farms are looking at multiple streams of income to remain resilient in times where subsidies are falling and trade deals with the EU are up in the air. “This number is only going to grow as the realities of the economic climate sink in. Dairy farms are keeping bees, arable farmers are growing miscanthus in areas with poor soil and installing solar panels, while sheep farmers are opening livery stables. Trends in diversification include an increase in uptake of online businesses. But advisers warn far from providing passive income, online food enterprises can require an ongoing time commitment way beyond expectation. Scotland’s Rural College says alternative livestock enterprises are also of particular interest. Its Farm Management Handbook points to cashmere and angora goats and alpacas for fibres; wild boar, buffalo, ostrich, venison, ducks, geese and rabbits for meat; goats, sheep and water buffalo for dairy and worms for the composting industry and fishing bait. It says: “A common theme which runs through most types of alternative livestock is considerable capital costs at start-up. Often early adopters control the breeding stock and command premium prices. “There are also sometimes high capital costs associated with stock control, such as housing, fencing and specialist handling facilities. For example, wild boar have specialised requirements as they are classified as dangerous wild animals, and deer need specific fencing. "It is also worth checking local abattoirs are licensed to slaughter that type of animal and, if not, what alternatives exist, such as field slaughter. “Novel livestock industries have a limited infrastructure to buy specialised feed, sell breeding stock, or market finished produce, meaning it is more difficult to negotiate on price or find alternative suppliers. Eirwen Williams agrees livestock is a current diversification trend. As well as traditional enterprises such as poultry and pigs, she points to venison, Wagyu beef, and milk from goats and sheep. She says diversifications contribute millions of pounds to the economy, but they can also secure the future of a family’s farm, enabling young people to stay in their rural areas and provide jobs. Mr Yandell adds: “The world of farming is at a crossroads. This can either be seen as a problem or an opportunity. 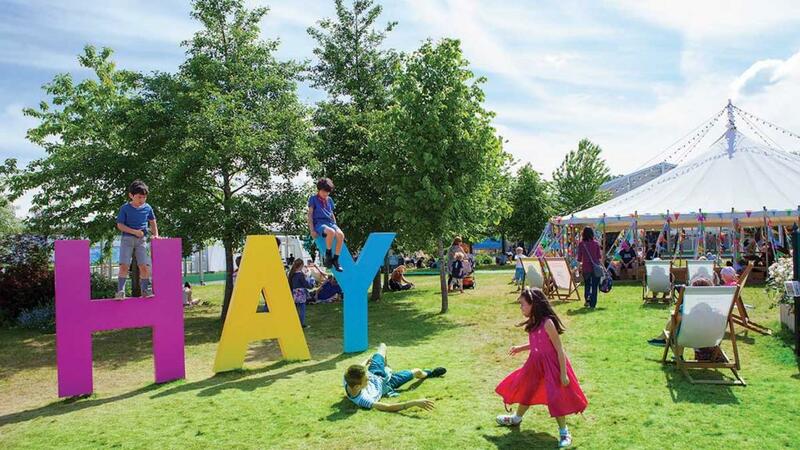 “Being able to blend the old and the new, tradition and innovation, is a huge part of what makes the UK such an amazing place. With rural enterprise at the backbone of the country, there is no reason farming and rural business should not do the same.